FucoThin Green is the first 100% natural, Raw, Whole Food supplement to combine the fat burning power and glucose support of two clinically studied, non-stimulant, natural thermogenics: Xanthigen (Raw, Concentrated Fucoxanthin) and Svetol (Raw, Naturally Decaffeinated Green Coffee Bean Extract). Xanthigen (Raw, Concentrated Fucoxanthin): Non-stimulant, natural fat burner, clinically studied to boost metabolism, minimizing fat storage and increasing lean body mass without causing jitters. Svetol (Raw, Naturally Decaffeinated Green Coffee Bean Extract): Clinically studied, non-stimulant, natural fat burner with 50% Chlorogenic Acid for powerful support of healthy blood sugar levels. 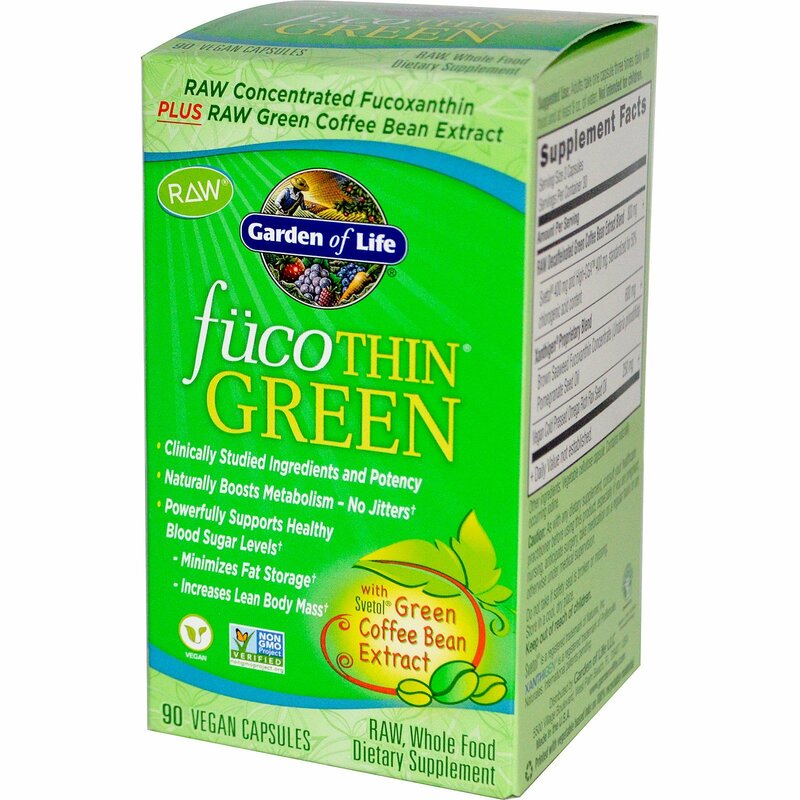 Help make your diet and exercise program more effective, naturally, with fucoThin Green, the complementary power of clinically studied, clinical potency Raw Concentrated Fucoxanthin Plus Raw Green Coffee Bean Extract. In a clinical study, 50 participants with a BMI of 25 or higher lost an average of 10.9 lbs. with Svetol over 60 days versus 5.4 lbs. for the placebo group. 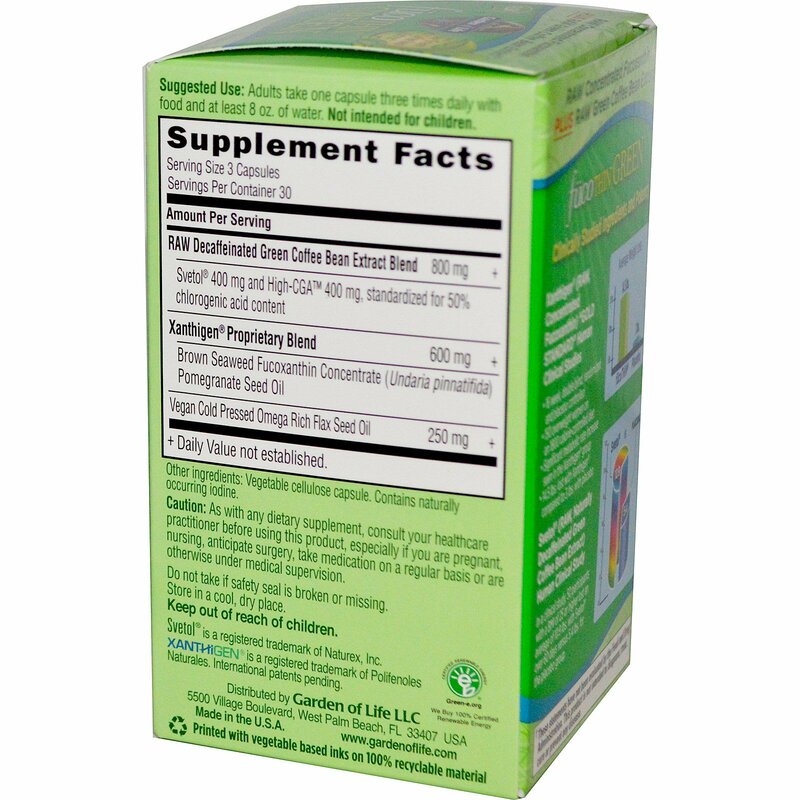 Adults take one capsule three times daily with food and at least 8 oz of water. Not intended for children. Vegetable cellulose capsule. Contains naturally occurring iodine. Do not take if safety seal is broken or missing.